On August 3, Shashank Mishra, District Magistrate of Betul in Madhya Pradesh, heard a land ownership case. It involves over 4,000 hectares (ha) of mostly community land in 11 villages of Ghoradongari tehsil. The remarkable feature of the case is that while both forest and land revenue departments are claiming ownership over the land, in 2008, when farmers and tribals living on the land demanded land titles under the Scheduled Tribes and Other Traditional Forest Dwellers (Recognition of Forest Rights) Act, 2006, or FRA, both the departments rejected the applications, saying the other was the owner. FRA guarantees tribal and non-tribal forest dwellers right over land they have traditionally lived on, or depend on for survival. In May this year, Anil Garg, a Betul-based advocate who has been studying the issue and published a book on it, decided to file a case on behalf of the people at the Betul collectorate. Garg says the problem has historical roots. “After the enactment of the Zamindari Abolition Act of 1950, which put a limit on the land an individual can own, states across the country passed similar pieces of legislations and acquired land. But there were many cases where the forest department scuttled attempts by the land revenue department to distribute the land among the landless by registering it as forestland. The Betul case is an example of this tripartite tussle,” he explains. “The district has about 0.12 million ha claimed by the two departments and the cumulative figure for Madhya Pradesh and Chhattisgarh could be more than 9 million ha,” he adds. But how could forest departments claim ownership of community land? Sections 3 and 29 of the Indian Forest Act, 1927, allow it to acquire government land and declare them as Protected Forests or Reserved Forests. Garg says the forest departments could have used these provisions to claim ownership, but they should not have done so because such lands were being used by communities as wasteland, grazing land or village forests. When contacted, Mishra said the case has enough complications to warrant a deeper look, which is why he allowed it to be registered. Moreover, this is not the first time the issue is being probed. In July 2004, the then chief secretary of Madhya Pradesh, B K Saha, had issued an order asking both the departments to check their land records. The issue was also raised in the Madhya Pradesh Legislative Assembly several times between 2014 and 2017. “It is astonishing the two departments never tallied their records,” says Garg. What has hurt the claimants (many of whom belong to the Gond tribe) the most is that in 2016 the land revenue department granted pattas (land titles) to 109 Bangladeshi refugees who had been living in the area since 1974. “The Ghoradongari constituency had a by-election in April 2016 and this was a political issue,” says Garg. When Chief Minister Shivraj Singh Chouhan was canvassing in the district, he faced protest from Gond tribals. “The chief minister had assured we would get pattas for the land that has helped us eke out a livelihood. After having voted for their candidate, we feel cheated. There are about 200 families in the village that feel the same way,” says Pandu Singh Marshkole, a Gond tribal of Betul’s Dolhara village. As per the Union Ministry of Tribal Affairs, land titles covering 0.84 million ha of forestland were issued between 2006 and 2016 in Madhya Pradesh under the FRA. This is just 38 per cent of total claims received during the period. The state stands third in terms of claims cleared under FRA, the top two states being Odisha and Chhattisgarh, which have cleared 59 per cent and 40 per cent of the claims respectively in the same period. Sharad Chandra Behar, a former chief secretary of Madhya Pradesh, says there is no doubt government records have gross anomalies and adds that the problem of land revenue and forest departments claiming ownership over same pieces of land is not limited to Madhya Pradesh. 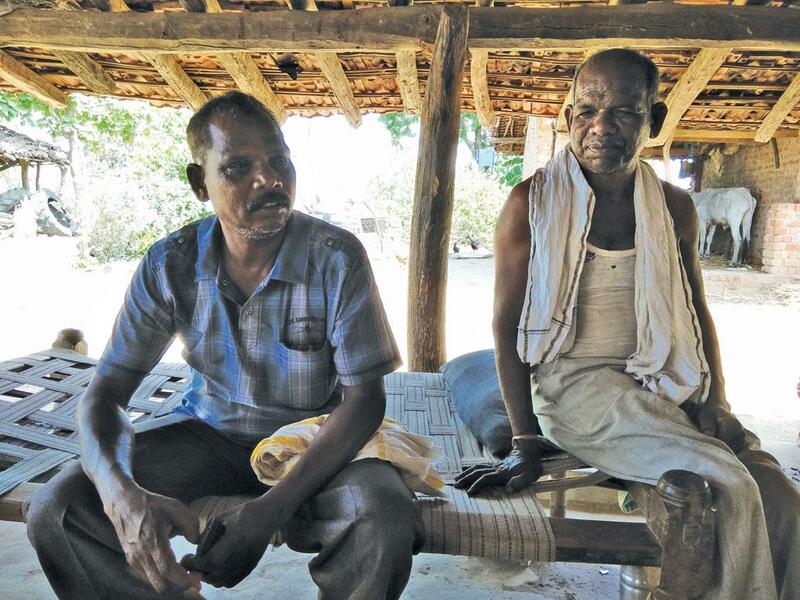 Corroborates Manohar Chauhan, a land rights activist based in Odisha. He says that in Odisha, the forest department claims almost 52 per cent of revenue land, which it has registered as village forests. Rakesh Bhati of Sahjeevan, a non-profit based in Bhuj district of Gujarat, sites a similar case. “Both forest and land revenue departments claim ownership over 2,500 sq km of Banni Grassland in the Rann of Kutch.” Banni, which is reported to be the largest grassland in Asia, was declared a protected area in 1955 and was under the possession of the revenue department. In 1998, the state government handed its ownership to the forest department. But an RTI query by Sahjeevan found that both departments deny owning it. Shubhmoorty Kumar, chairperson of the Bhoodan Yagna Committee of Bihar, formed under a state government law to oversee the distribution of the over 0.65 million ha donated by people during the Bhoodan movement in the 1970s, says that the distribution never happened because of the tussle between the two departments. 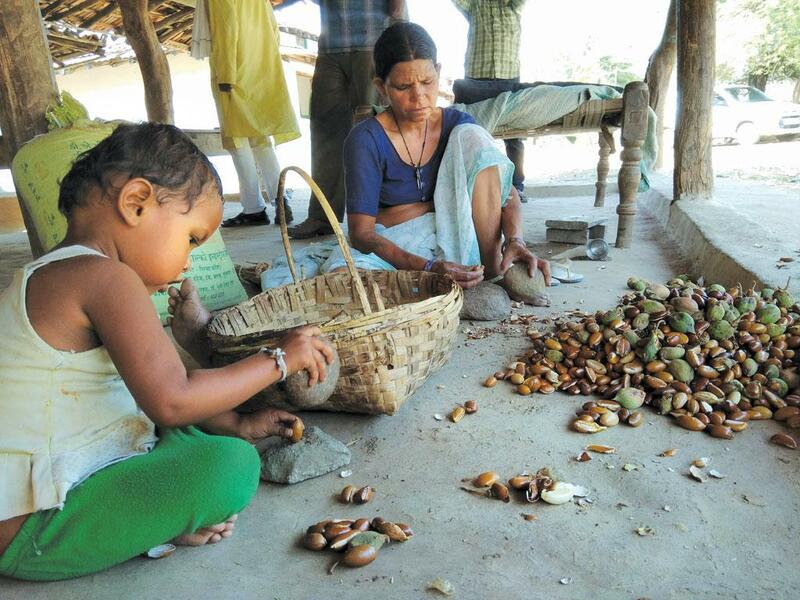 “In Barachatti block of Gaya district, there is a 300 ha plot being used by landless non-tribals over which the forest department claims ownership,” he says. In fact, Bhoodan committees in Madhya Pradesh and Rajasthan were dissolved because the redistribution of land never started due to such confusions. The only sufferers in this three-way combat are the people who have been made to shuttle between the two departments, without any result, says Garg, and adds that the outcome of the Betul case could have repercussions in other states too.